MOSCOW (UrduPoint News / Sputnik - 16th April, 2019) Riyadh has raised the issue of Iran's alleged illicit shipments of ballistic missiles to the Houthi rebels in Yemen at consultations with members of the UN Security Council, Saudi Minister of State for Foreign Affairs Adel Jubeir told Sputnik on Tuesday. "We have discussed this issue with members of the Security Council. Iran supplies the Houthis with ballistic missiles that are used against civilians in Yemen and the Kingdom of Saudi Arabia. 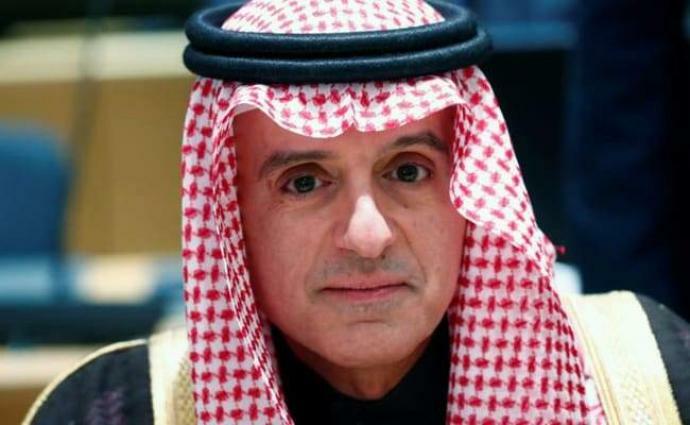 It runs against regulations and international law, and the international community understands this and has condemned the Houthis," Jubeir said. The minister accused Tehran of supporting the Houthi rebels and blamed the latter for lack of progress in the crisis settlement. "We hope that the international community will manage to oblige the Houthis to implement the Stockholm agreement and the Security Council resolution," he added. In December, the Yemeni government and Houthi rebels attended UN-brokered peace talks in Sweden. As a result of the meeting, the conflicting sides agreed on a ceasefire in the Yemeni port city of Al Hudaydah, an exchange of prisoners and the establishment of humanitarian corridors. Yemen has been ravaged by several years of war between the internationally backed government, supported by the Saudi-led coalition, and the Houthi rebels. A number of states, including Saudi Arabia and the United States, have repeatedly accused Iran of supporting the Houthis. Tehran, however, denies any involvement in the conflict.